When applying for a child passport you will need to have a lot of patients. The guidelines for applying for a minor’s passport are very specific and you must have all the documentation required to avoid any suspensions or delays. Keep in mind that these new requirements were put in place for your child’s safety and although it may seem like a lot the safety of your child is the reason for these changes. All minors under the age of 16 must apply in person. Both parents will have to be present at acceptance facility when submitting application or have proper parental consent from absent parent. All minors including minors will need a passport of their own to travel. There are special requirements for minors age 16 and 17. The first thing you need to do is fill out a DS-11 application. 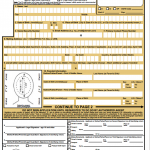 Although you can acquire this form at the post office the best way to fill it out is online. This causes less errors and reduces the chance of a suspension. If you do fill it out by hand make sure it is done in black ink and that the writing is legible. Click Here for Tips on filling out DS-11 for a minor. Proof of Citizenship– State issued Birth Certificate or certified copy. Certificate of Citizenship or Naturalization papers. All these Documents must be originals and will be returned with your New Passport. Proof of Identification– Back and front copy of both parents state issued ID, driver’s license or passport. Proof of relationship to minor– Generally this will be the original Birth Certificate. However there are times where other forms are acceptable. Government Fee– Money order or check (not starter checks) for the total that is specified on the product service and fee page of your DS-11. Amount varies depending on which products you order as well as what service time you need. The check should be made out to the US Department of State. Do NOT abbreviate this as it will cause delays in your service. Passport Photo– 1 passport photo. Must be 2×2 with white background. DS–11 Application- Completed application printed and unsigned. 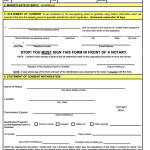 DS–3053 form – if one parent cannot be present at the acceptance clerk they will fill this form out and have it notarized for the other parent or guardian to bring with them to have the documents sealed. Finally once you have all your documentation together you are all ready to head to the Acceptance Clerk. This will be the person that checks to make sure you have all the proper documents, goes over DS-11 application and then verifies your ID then has you take an oath. You will then sign your application and all your documents will be sealed in an envelope. From there they will either mail it out or if you are using an expediting company you will take it with you. Provide a photocopy of the same ID document that will be presented at the time of application (applicant or parent/guardian). Both Parents appear in person with the minor in front of the Acceptance Clerk when signing and submitting the passport application. One Parent appears in person with the minor in front of the Acceptance Clerk with a notarized parental consent DS-3053 Form from non-applying parent. *A third Party Can submit a notarized statement or affidavit from both parents or guardians authorizing a third-party to apply for a passport or if a statement of affidavit is from only one parent/guardian, the third-party must present evidence of sole custody of the authorizing parent/guardian. The Children’s Passport Issuance Alert Program (CPIAP) is one of the Department of States most important tools for preventing international parental child abduction. The program allows parents to register their U.S. citizen children under the age of 18 in the Department’s Passport Lookout System. If a passport application is submitted for a child who is registered in CPIAP, the Department contacts and alerts the parent or parents. Can a child’s passport be renewed by mail? No. Minor passports are not renewed. You will have to reapply as a new applicant every 5 years. Do applications for minors under 16 require the consent of both parents? Effective February 1, 2008, Public Law 106-113, Section 236 requires that U.S. passport applications for children under the age of 16 require both parents' or legal guardians' consent. Read additional information on the Two-Parent Consent Requirement. Does a child need a passport to go to Canada? For each minor you must submit a completed, unsigned DS-11 application form, proof of citizenship, proof of identity, and passport photos. However for a minor the parents must appear with the child or provide a consent form and submit evidence of relationship to the child. 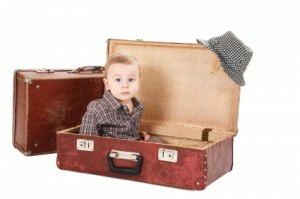 How do I get information about my child’s passport or prevent passport issuance? For passport assistance for parents and information on International Child Abduction see Passport Assistance - International Child Abduction (DS-3077). How do I sign my child’s passport if their too young?